Muhdo think the key to losing weight effectively and sustainable lies within in your genes, which is where their new DNA test gives you a lot more information about yourself than all the other home DNA tests out at the moment. Health means different things to different people, for some it means a radiant look and the energy to live life to the full. For others it means dropping a dress size or building muscle and strength. Muhdo works with your body and genes in the most efficient and sustainable way to achieve your goals. That’s why they start with DNA profiling, then listen to you to understand how you live your life. Muhdo will be there throughout the journey, a constant source of inspiration and support. 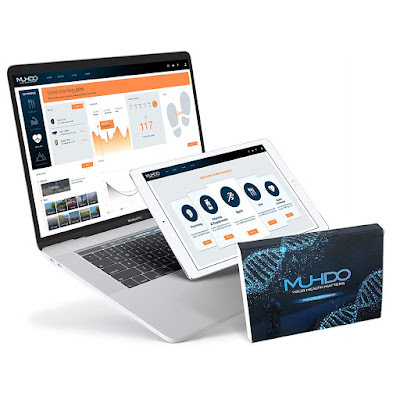 Muhdo creates a free, personalised health dashboard, powered by Artificial Intelligence (AI), to be your very own helpful, inspirational and supportive partner – suggesting recipes, exercises, vitamin supplements and lifestyle changes to lose weight sustainably. All tuned to your DNA and how you choose to live your life. The Muhdo dashboard contains rich, informative and interactive content and is completely free. You can switch between health goals (modes) and then Muhdo recalibrates it’s nutrition, exercise and lifestyle advice in real time. So, if you’re on a diet and decide you want to change your goal, Muhdo instantaneously adjusts and recalibrates to help you get there. Order your Muhdo DNA profiling kit and tell us more about your health and fitness preferences. Take our simple, painless 30 second cheek swab and send it back to us free of charge in the envelope provided. We then generate your DNA results that you can view on the Muhdo dashboard. We also produce a personalised diet plan specifically aligned to your genetic makeup to help you lose weight safely and sustainably. 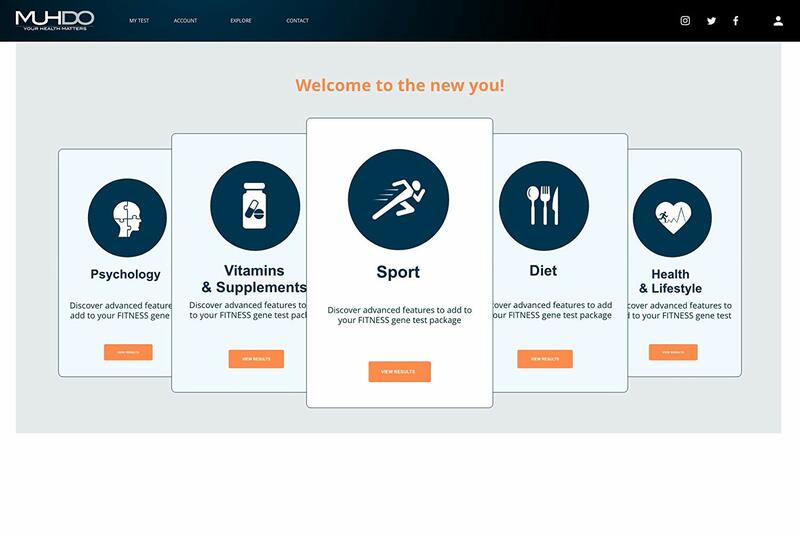 The Muhdo dashboard delivers free, truly personalised and interactive health and fitness plans with easy to follow advice tailored to you and your goals. 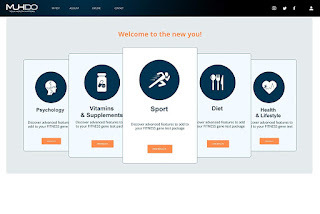 The Muhdo platform provides access to free inspiring information and advice throughout your fitness journey – all tuned to your unique DNA and updated by the world's leading fitness and nutritionist experts.